Are we one step closer to a hair loss cure? Too good to be true, even if it’s from the credible source? Here are more details about Kibar’s bio-tech company, their hair loss medicine, and some reported results. First, let’s start with their animal studies. Similar to all other bio laboratories, they started testing hair regrowth experiments using mice. 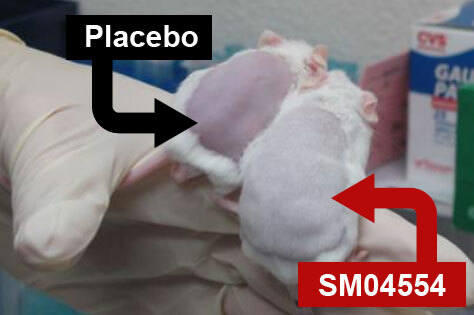 As you can see, the difference between mice with placebo and SM04554 (the unofficial name of the company’s possible hair loss cure) is fairly noticeable. The SM04554 mouse shows significant hair growth (increase in number of hair follicles) on his back, while the placebo mouse’s back still shows only skin. Once the scientists saw positive results in animal studies, they moved to human phase trials. Their Phase II trial was presented in 2016 at the American Academy of Dermatology (AAD) conference. 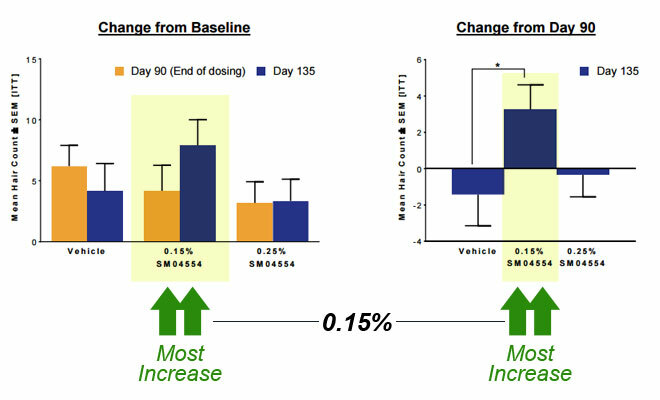 Samumed, a San Diego-based biotech company, did a small group Phase II trial to find out the efficacy of their possible hair loss cure medicine (SM04554). The study included 300 people who were randomly divided into 3 groups – 0.25% (solution of SM04554), 0.15%, and a placebo group. 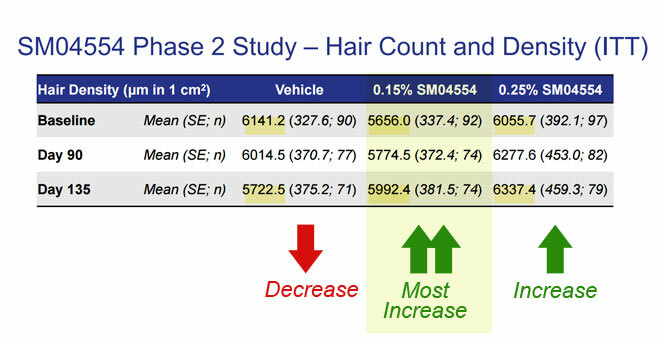 The result shows that both groups receiving the medication saw increases in hair count as well as hair density, while the placebo group lost hair. 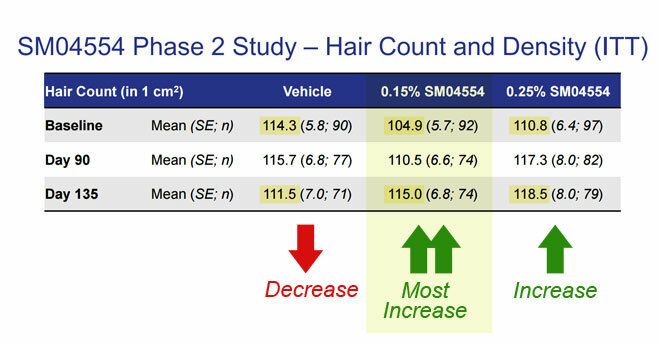 What’s also interesting about this hair re-growth result is that the 0.15% group had a larger increase than the higher dosage group, 0.25%. Experts are saying that while Samumed’s Phase II results are positive, it’s too early to say this is the ultimate hair regrowth treatment. The company is currently conducting further studies to evaluate the efficacy of this medication, as well as its safety and proper dosage. More details about this phase II trial can be found here. And stay tuned! There will be more information soon when further studies are released. Sign up for the newsletter to get the latest hair loss news and products.